Matched with hand pump hose. - No spark or flame. No risk to volatile surrounding. - 700 bar working presssure. The Clean cut solution to removing frozen nuts. Sapsons Nut-Splitter now you can easily remove heavily corroded, seized nuts quickly, quietly and safely. Fast : To remove a 90 mm nut with a torch or hammer and chisel might take upto 30 minutes. But yoy only need 20-30 seconds with our Sapsons Nut Splitter. Wea are dealing in hydraulic nut splitter. We manufacture wide range of Hydraulic Nut Splitter under the Brand name AIRXPA TOOLS. 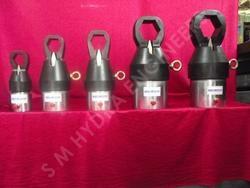 Neelyog Engineers manufacture superior quality Hydraulic Nut Splitter in various specifications. 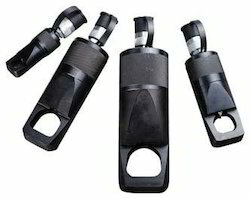 UNC Heavy Nut Size: 0.88" to 1.06"
We are the leading entity of a wide range of Hydraulic Nut Splitters. · No spark or flame. No risk to volatile surrounding.